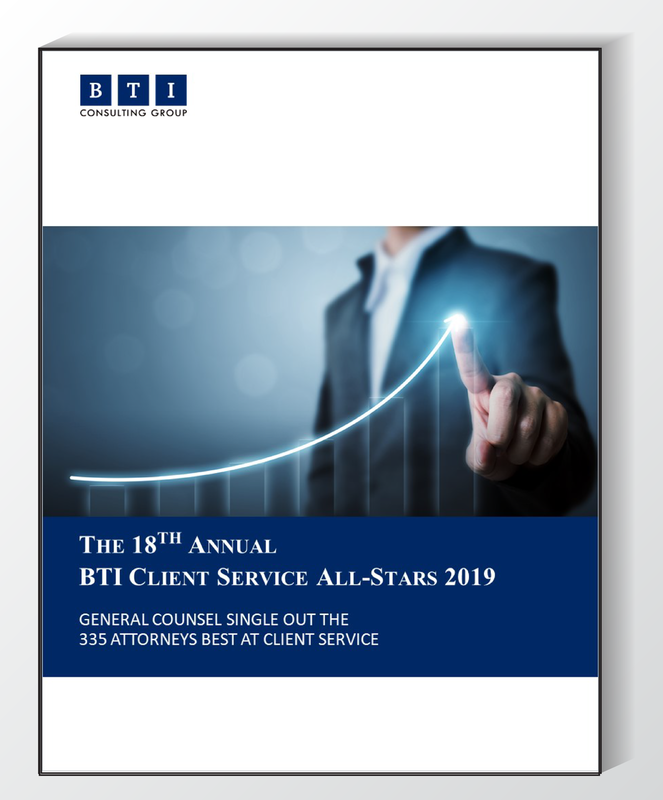 The 2019 BTI Client Service All-Stars Report singles out the 335 attorneys have mastered the art of superior client service. In the eyes of clients, these attorneys are unsurpassed in their delivery of client service. These are the BTI Client Service All-Stars 2019. This report honors the individuals able to stand out in the sea of legal services providers to represent the cream of the crop. Corporate counsel single out each attorney—by name and in an unprompted manner—as delivering the absolute best client service. No attorney or firm can self-nominate, self-refer, nor pay to be included in this report. Clients have the final—and only—say. The 335 attorneys in this report are the individuals clients think of—and turn to—first. The BTI Client Service All-Stars is BTI’s definitive annual guide to the attorneys commanding the attention of General Counsel and legal decision makers at large organizations. This is not your over-reported list of rainmakers, dealmakers, or power brokers. Instead, BTI went straight to the source—the client, the decision makers for legal services—to find out exactly which attorneys are truly influencing and changing the legal industry. 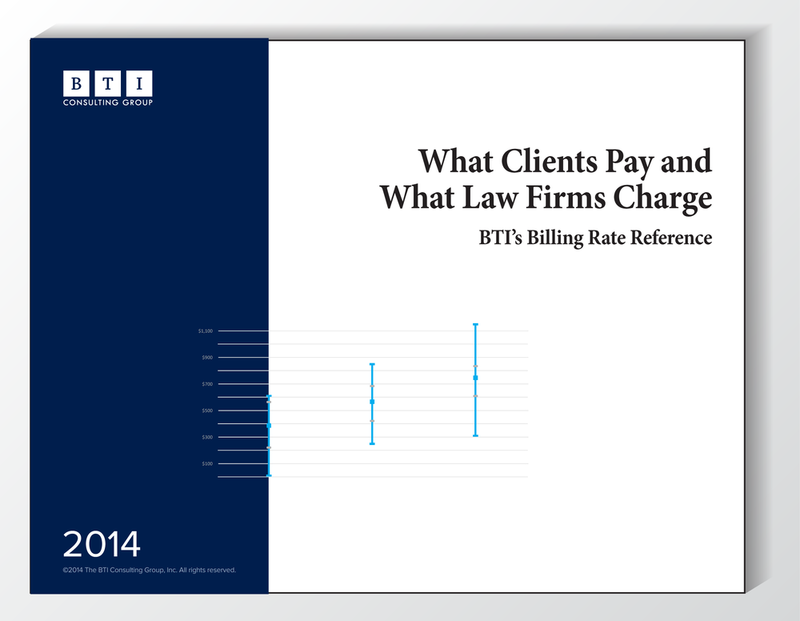 The 319 attorneys in this report are the individuals clients think of—and turn to—first.